I had the pleasure of meeting Matt Urbano of Urbano Cigars last month while visiting Tampa. He introduced me to his line of cigars and handed me a three-pack sampler with an Urbano Corojo, Urbano Sumatra, and Urbano Connecticut. Urbano Cigars is a boutique line offering three different wrappers. Their cigars are not mass-produced, or rushed into the market for catalog or discount wholesalers. Urbanos are solidly constructed with aged long-filler and binder tobaccos that have been triple-fermented. Urbano Cigars are rolled in the same manner as many Cubans to ensure a cool draw with an even burn, then finished with a double-cap. I tried the Sumatra right away and was pleased with its bold taste, smooth even burn, and quality construction. Matt was on his way to the Ybor City Cigar Heritage Festival where Urbano Cigars had a tent beside the Arturo Fuente family and across the street from Cigar Rights of America (CRA). We talked cigar blends and production. Stogie Guys: Urbano Cigars are relatively new to the market. Tell us how you got started. Matt Urbano: My passion for cigars began 20-plus years ago while working in the restaurant industry. As an executive chef passionate about food, rich flavors, and complex textures, I worked in many restaurants and private clubs throughout the northeast. 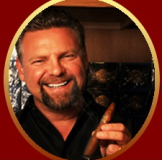 After I relocated to Tampa I quickly became steeped in the local area’s rich cigar history and became friendly with a master cigar blender that travels regularly between Tampa and the Dominican Republic. Trusting my new friend and his own palate I took my passion for flavor and teamed up with this cigar master to create the ultimate line of cigars. Urbano Cigars has a full line offering three different wrappers that will meet any cigar smoker’s needs from the casual smoker to the aficionado. I invite you to share the smooth draw and rich, complex flavors in each carefully blended and hand-rolled Urbano Cigar. SG: Tell us a bit about the three different wrappers that you offer and a little bit about your philosophy on blends. MU: The Urbano Corojo is a true Dominican puro with first-generation Cuban-seed tobaccos aged for three years and triple-fermented. It has a medium to full body with a reddish hue blended from carefully aged Dominican tobacco. You’ll find a hearty, complex flavor with a hint of spice at the open, followed by hints of roasted nuts and smooth cedar undertones. Wait till you spark one up: a Cuban-like flavor with nothing less than a mesmerizing and delectable aroma. Sizes and MSRPs: Robusto $7.00, Toro $7.10, Torpedo $7.20, Churchill $7.40, 6 x 60 $7.50. The Urbano Sumatra is aged for two years and triple-fermented. It is medium-bodied with an eye-catching, chocolaty, satin wrapper. Enjoy this cigar from start to finish with the continuous flavors and solid white ash, sweet, earthy flavor turning to a creamy chocolaty smoke with a light leathery finish. The wrapper is Sumatra, the binder Indonesian, and the filler is Dominican. Sizes and MSRPs: Robusto $5.00, Torpedo $5.20, Churchill $5.40, 6 x 60 $5.50. The Urbano Connecticut is aged for two years and triple-fermented with a beautiful, silky smooth wrapper light brown in color. Well-balanced with a cool, slow, even burn. It has tasty floral notes along with a bit of cinnamon and dash of nutmeg. An excellent choice for your morning smoke to accompany your favorite coffee. Wrapper is Connecticut Ecuadorian, and both the binder and filler are Dominican. Sizes and MSRPs: Robusto $5.00,Torpedo $5.20, Churchill $5.40, 6 x 60 $5.50. SG: For a new cigar business, or for a cigar business in general, what kind of challenges do you currently face and what can you do about them? MU: I strongly feel in today’s world the biggest challenges to a cigar retailer are the aggressive anti-smoking bans. Every cigar smoker, from the guy that smokes one cigar a year to the person that smokes regularly, should be a member of CRA. As a manufacturer the challenges of getting my line out to new retail shops is much harder than it sounds. You want to get to know your local retailer and get plugged into their event list. I offer brick and mortar cigar shops great deals throughout our product line along with marketing materials and support. We do not have order minimums and are open to working with the retailer to meet their needs. SG: What sets Urbano Cigars apart from the rest of the marketplace? MU: Our cigars are not mass-produced. We focus on quality, one cigar at a time. We do not rush the process and all of our tobacco goes through a triple fermentation. SG: Are you offering any kind of special on your website? If I’ve never tried an Urbano Cigar, what is the best way to get started? MU: We offer many specials on the website for people to start small and get an introduction to our lines by sample packs. We also offer excusive monthly deals though email to people that sign up to our list. I always say just don’t visit the site, sign up for our list. Our members get specials all the time. Our current special is a mixed box sampler along with a travel humidor and cutter. SG: You had a booth at the Ybor Cigar Festival. What other trade shows or events do you plan to visit? Where can our readers meet you (other than online)? MU: The main event that is geared towards retailers it is the yearly IPCPR. We had a booth last year in Vegas and will be in Orlando in 2012. I love to get involved with local events and am always looking to do more local events. I also support many of the local cigar store events throughout Tampa Bay. Cigar stores are my home away from home. Be sure to check out UrbanoCigars.com. Sign up to follow us and be the first to see what’s new and where we are heading! Special thanks for Matt Urbano of Urbano Cigars for taking the time to talk with Stogie Guys. You can visit him online here. I've tried the Urbano Corojo and Sumatra, and both were impressive. I think you'll hear the same from others who have sampled this line already. For those who haven't, Urbano is worth a try for sure.